The atmosphere Wednesday night changed rapidy as hooligans began smashing windows and burning property. 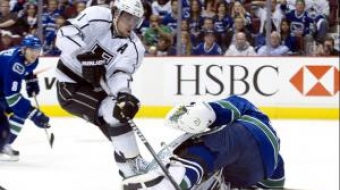 For Canucks fans, a feeling of pride and unity quickly turned to fear and humiliation. 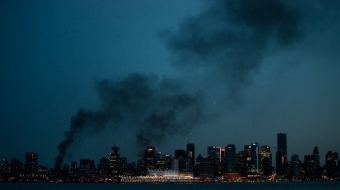 “I am embarrassed to be a Vancouverite right now,” said Canucks fan, Jessica Moerman, after witnessing the destruction rioters inflicted on downtown Vancouver. “Seeing how ridiculous they are acting and how they are destroying our beautiful city breaks my heart, even more than our loss,” said Canucks supporter, Dorothy Tsui. “With fans like ours, we don’t deserve the cup,” said Fiorella Lau, a Canucks fan. For the Vancouverites who were forced to pass through the riot, many felt unsafe and threatened by the drunken and aggressive fans that stormed through the downtown area. “I got off work early to avoid a possible rough crowd...but almost used my pepper spray,” said commuter Sarah Fitzgerald. For those who wish to help clean up the destruction downtown, Vancouverites have started a Riot Clean-up on Facebook. The clean-up will take place Thursday morning from 7 a.m. to 10 a.m.